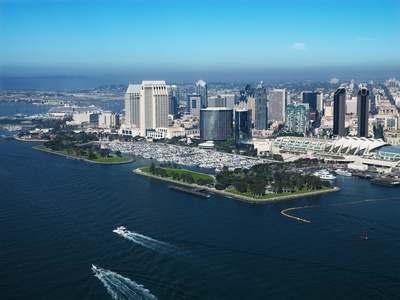 Monarch Air Group provides private air charter in San Diego, CA. Our clients benefit from top-notch service, unrelenting dedication to safety, wide selection of aircraft, and years of experience in chartering private jets. To obtain a free quote, please use our online quoting tool provided below, or call toll free 1-877-281-3051. Monarch Air Group offers private jet charter services to and from San Diego, CA, USA. Private jet travelers to San Diego have a choice of over 11 airports, located within a 50 miles radius of the city itself, to fly into. The major airports in San Diego used for private travel include San Diego International Airport (SAN), Brown Field Muni Airport (SDN), and Gillespie Field Airport (SEE). Please check Monarch Air Group fleet. There are also a great variety of one-way and empty leg flights available for charter in the San Diego area. 1. BXS, Borrego Springs, Borrego Springs, United States. 2. CJN, Gillespie Field, San Diego/El Cajon, CA, United States. 3. CLD, Mc Clellan-Palomar Airport, Carlsbad, CA, United States. 4. MYF, Montgomery Field, San Diego, United States. 5. NKX, Miramar MCAS, San Diego, United States. 6. NRS, NAS, Imperial Beach, United States. 7. NZY, North Island Nas, San Diego, United States. 8. OCN, Municipal, Oceanside, United States. 9. RBK, French Valley, Rancho, United States. 10. SAN, San Diego International Airport, San Diego, United States. 11. SDM, Brown Field Municipal, San Diego, United States. 12. SEE, Gillespie Field, San Diego, United States. 13. TIJ, General A. L. Rodriguez Intl, Tijuana, Mexico. 1. Omni Hotel San Diego, 675 L St, San Diego. 2. Hotel Solamar, 435 6th Avenue, San Diego. 3. Hotel Indigo San Diego, 509 9th Avenue, San Diego. 4. The Us Grant, San Diego, 326 Broadway, San Diego. 5. Omni Hotel San Diego, 675 L St, San Diego. 6. Hotel Solamar, 435 6th Avenue, San Diego. 7. Manchester Grand Hyatt San Diego, 1 Market Pl, San Diego. 8. Hotel Indigo San Diego, 509 9th Avenue, San Diego. 9. Sofia Hotel, 150 West Broadway, San Diego. 10. Omni Hotel San Diego, 675 L St, San Diego.